The last free swimming class of MulitSport in partnership with Iberet, for this year 2011. 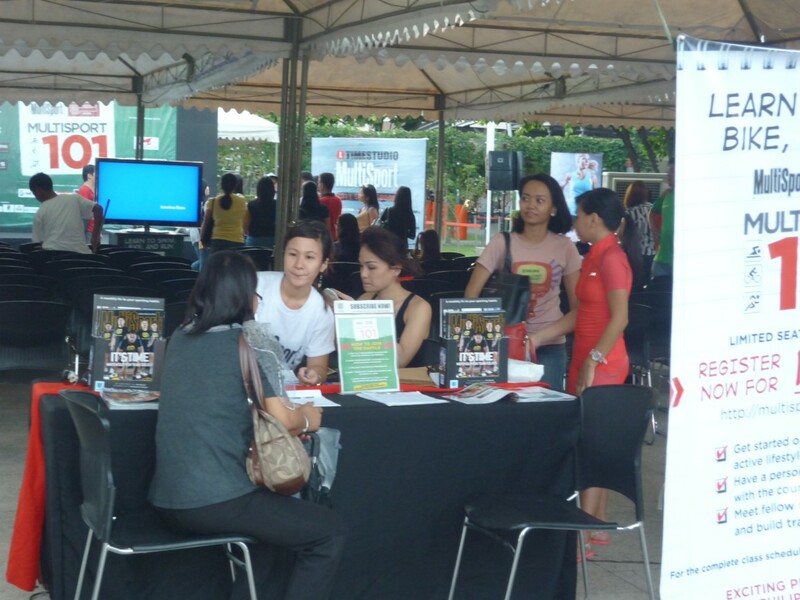 The class was held at Bonifacio High Street activity center in Bonifacio Global City last November 12. I attended the 3 - 5 pm class. There was a second class from 5:30 - 7:30 pm. 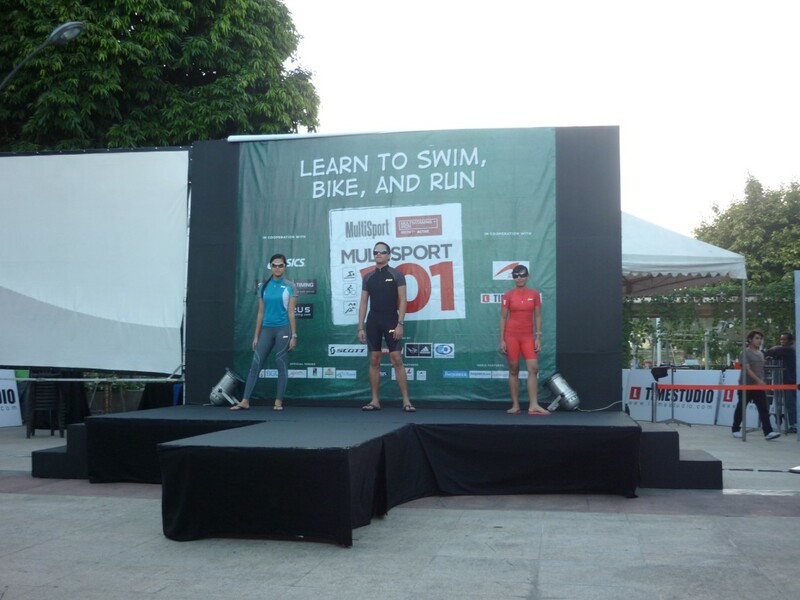 The instructor in the free class was coach Ria Mackay. Before the class started, coach Ria showed us a video of their clients, mostly about babies and children. She said that they can teach a baby from six months onward. The second part of the class discussed the four styles of swimming namely freestyle, breaststroke, backstroke and butterfly. Each style were discussed their history and when they recognized as an Olympic sport. 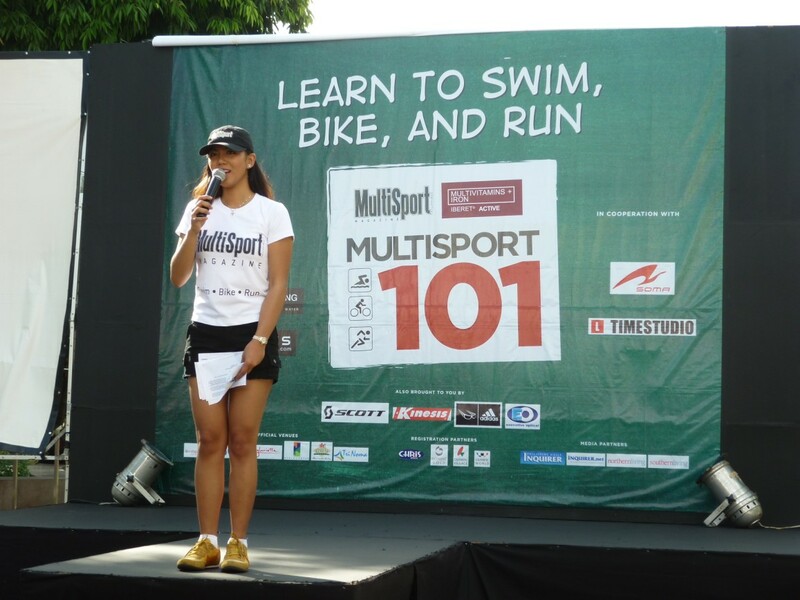 Coach Ria also told us that the freestyle was not necessarily the front crawl. The rule of freestyle state that the swimmer can swim any style of swimming they choose unless it is not the style of backstroke, breaststroke or butterfly. However, the front crawl stroke is the most efficient way of swimming freestyle. The front crawl has evolved to the name "freestyle" because it is the fastest way of swimming it. She said that the European people before preferred the breaststroke style over front crawl because of the elegance the breaststroke gives. She also mentioned that the butterfly style that were used today was not the first style used in butterfly. She also discussed how they teach swimming. She emphasized that one should be comfortable first with water before learning any swimming technique. She mentioned one of her client which is a old lady who had a trauma in water. Her client said that when she was young, she always warned by her parents to not go swimming because she might get drowned. After the discussion, participants were allowed to ask coach Ria. Yours truly was given a chance to ask her and I asked what will her advise to those people who could train for only once a week. She advised us to focus on balance. 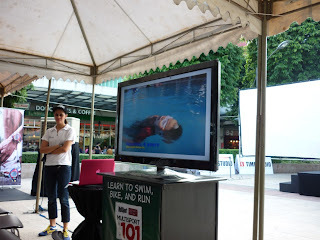 She mentioned to try incorporate the side swimming because it will improve the balance of the body when swimming. 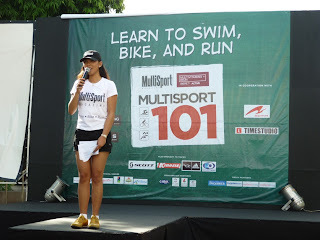 She also said to train without using floating devices because she believes that those things will not challenge to improve in swimming. 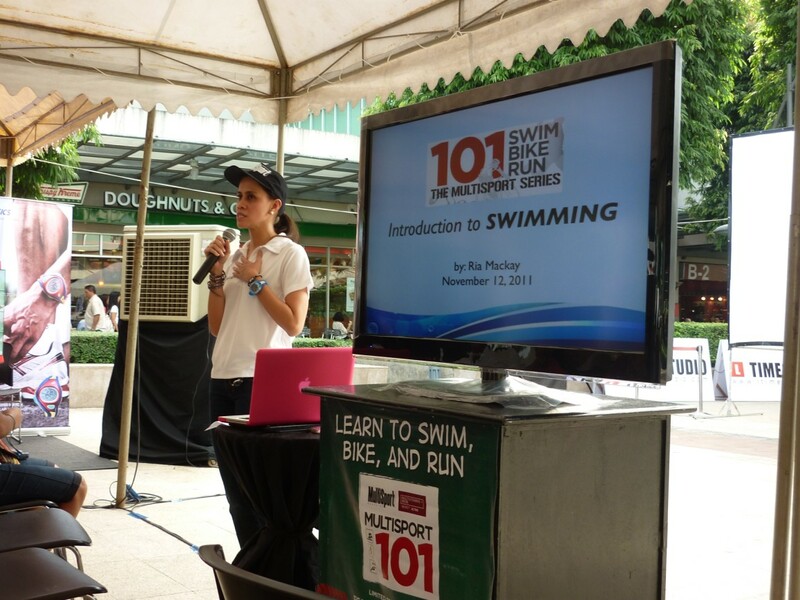 Being relaxed in the water will make your body float, according to coach Ria. She also advised us to improve the ankle flexibility by bending the knees 180 degrees tuck your calves under your thighs and sit on your heels. 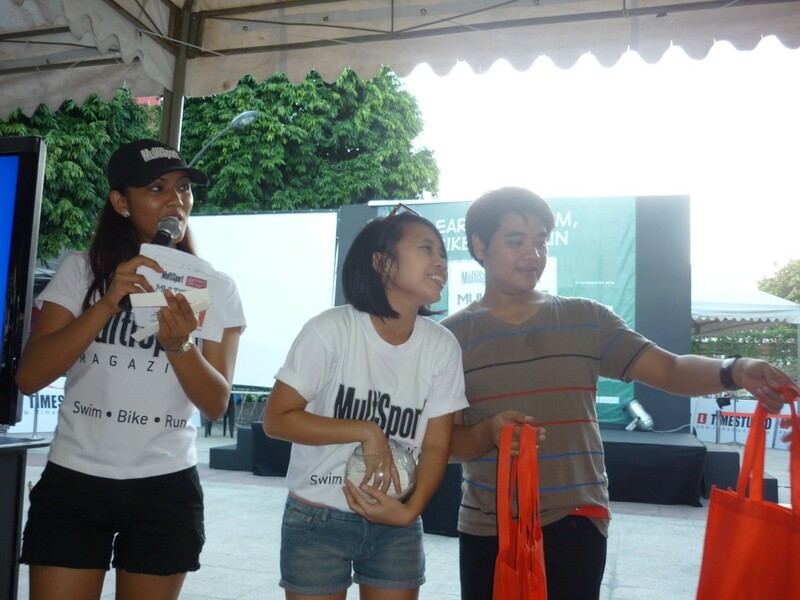 Afterwards, MultiSport awarded some lucky non-subscribed participants with freebies. 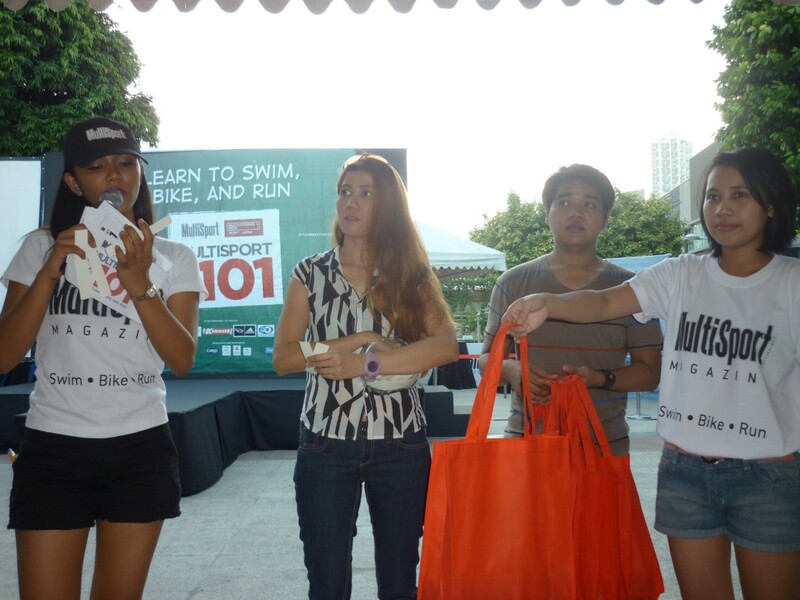 The sponsors showed next by presenting their sports wear and apparel. And then another awarding of freebies, this time for subscribed participants. Fortunately, yours truly was one of the winner. Inside the red bag was a baller wristband and a black t-shirt with MultiSport logo on it. It's like the t-shirts wore by the staff but in black color. And that's a wrap. The last class I attended for the year 2001 from MultiSport. That day I decided to be a subscriber because I can no longer get a free copy of MultiSport :D. Also, it's only 120 pesos for the one year subscription. I hope that next year MultiSport will bring another series of free classes. @Brilli Swimming can also add height? That's the first time I hear that. And I think it's just a myth. To overcome fear in swimming is to be comfortable in water especially in a pool. The keywords are relax your body. Hello my friend. . .supporting you here. . .nice blog!